Beautiful tricot top with ruffle details from HAPPY HOLLY. 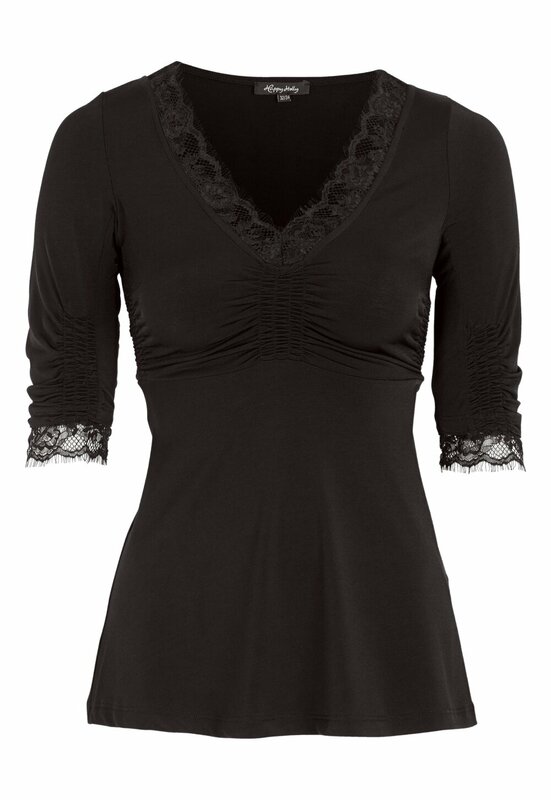 The top has lace at the neckline and wrists. - Stretch quality with a lovely shimmer. - Fancy cut under bust. Length from shoulder approx. 62 cm, bust 84 cm in size 36/38.